Contest: Win a $200 Target Gift Card! Win a $200 Target Gift Card! 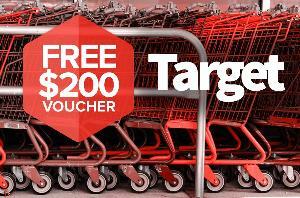 Prize: Enter to Win a $200 Target Gift Card! Requirements: Enter to Win a $200 Target Gift Card! What you must do to enter: Enter to Win a $200 Target Gift Card!